Video content is now dominating the Internet. People all around the globe consume billions of videos every day, as they are convenient and illustrative. It’s not surprising to anyone that our technological era provides us with the ability to consume information faster than ever before. So, many WordPress users understand the necessity of using videos as part of their content strategy. However, sometimes they face difficulties with understanding how plugins work, or navigating the subtleties of embedding videos. This article will provide instructions on how to use videos for your WordPress website, as well as a step-by-step explanation of the common mistakes you need to avoid, while working with this type of content. There are several ways to add a video to your website. Some of them are easier to use and preferable to others, but we will discuss this later on in the article. So, the first option is to actually upload your video to the website. 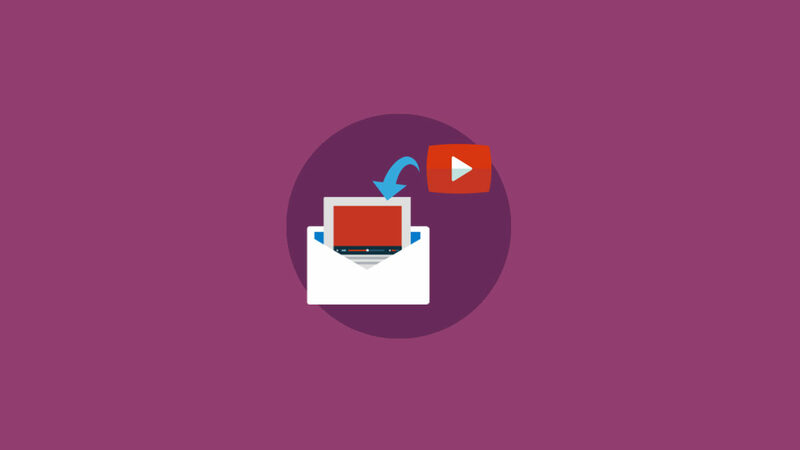 These types of videos are called self-hosted videos, and the main difference between them and other types of videos is that they are stored on your website’s server. If you prefer this option for your post or page, you can use the VideoPress feature. Hit the Add Media button or drag your files directly to the Media Library. Once uploaded, you can insert videos into your posts, and create playlists. You will be able to see an embedded video player on the page. Also, consider the fact that the video size is limited — you can upload files no larger than 1.4 GB. Most WordPress users prefer using embedded videos hosted on other platforms. These videos can be used in posts, pages, or even in widgets and comments. The most common platform used is YouTube. It’s very popular and has convenient features, like share buttons and recommended video lists, which increase the number of people using it every day. To embed a video from YouTube, you need to copy the URL from the browser address bar, or the Share menu, and paste it as a separate line in your Visual editor, while creating a post. It’s just that simple, as WordPress will do the rest of the job for you. If you want to adjust the video size, choose the Embed tab on the Share menu, and hit Show more. You will be able to choose a few options, as well as adjust the frame size. And many more. It means that you can take advantage of the best features that every platform offers you, and use it for your WordPress website. There are a lot of advanced plugins one can use for self-hosted, and embedded videos. Not all of them are free, but you will be surprised by the number of useful features they possess, and the convenience they provide. Easy Video Player — a WordPress plugin that can be used for both self-hosted and embedded videos. Its features include: loop, autoplay, mute, responsive mobile device, and friendly design. Embedly — a plugin that allows posting from more than 500 multimedia providers. It automatically displays the embedded media in the post editor, has a customizable style of the embeds, and addable social media buttons. YouTube Embed — a plugin that helps with embedding videos from YouTube, and allows one to build playlists, and adjust sizing in accordance with a device. Why Should You Choose the Embedded Videos Option First? Consider the specific difficulties you might face when deciding how to add a video you would like to use. There is a strong opinion that embedded videos are the best option for WordPress, due to myriad of disadvantages of self-hosted videos. The longer your video is, the more space your server needs to provide. However, the server bandwidth is limited, as is the size of the videos you can post. So, if you have, for example, a lecture recording that your readers might find interesting and useful in their studies, you can’t just upload it to your website, as the size of it might be too large for the server. No one likes freezing videos. But this is what happens to videos uploaded to a server with limited bandwidth. Besides, when watching videos on platforms like YouTube, you have probably never noticed the difference between the various video formats. That’s because YouTube does all the work. On the other hand, with self-hosting, you must manually convert your video, so that it is available for all devices and players. When you upload your video on a platform like YouTube, you will get views from the page you embedded it into, and also from the platform itself. Video hosting platforms are so popular now, that people tend to turn to them first when looking for information. Having your video posted on both a video platform, and your website will give you more views, and provide you with more traffic than posting it just on your website. Using videos for your website is a great option, as well as an opportunity to gain traffic, and engage more users. Now you know about the features that WordPress offers, and how to use them properly. WordPress makes embedding and hosting videos simpler than ever, so take advantage of it, and support your content with great video clips. Regine Ward is a content manager for Take My Class and a freelance blogger. She is fond of educational materials and tutorials on self-development, technology, content, and marketing. That’s why she creates a lot of such materials herself. She is also a fan of photography and yoga.